Still looking for a cleaning company in Newham E13 to have your carpets properly cleaned? Magic Carpet Cleaning has a team of experienced carpet cleaners in Newham E13 fully trained, experienced and highly qualified to remove stains, clean upholstery, rugs and carpets.All of this in a fast, professional, efficient way. 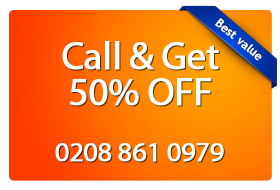 Call us now on 0208 861 0979 for an estimate price or to book a service. Check out our special 100% customer satisfaction guarantee or re-clean. Have questions about our services? Call our customer support and you’ll get all the answers you need and no commitment quote. Magic Carpet Cleaning always achieve or even exceeds customers expectations. That’s because we use the latest carpet cleaning equipment and eco-friendly solutions only. We use deep steam cleaning as well as dry powder carpet cleaning techniques to deliver perfect results with all types of synthetic and natural carpets. Your home carpets in E13 Newham will look refreshed, properly cleaned and dried in less than two hours while smelling better than ever. So give our Newham carpet cleaners a call now and book your next professional carpet cleaning service with us! Our phone number is 0208 861 0979. Our customer support assistants are 24 hours available to answer to all your questions. Or just use our on-line booking for and we will get in touch with you in no time at all.